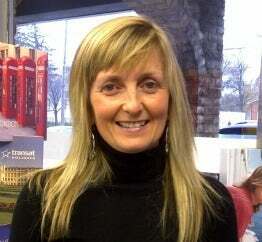 Rosie has been a longtime employee of Aldershot Travel in Burlington. She is very dedicated to her clients. She will often hand deliver tickets to clients that cannot get to the office. You will often find Rosie in the office in the evening long after the office has closed to ensure that her clients are taken care of. Rosie can help you with corporate, leisure and destination weddings as well as group incentive travel. Rosie grew up in Scotland and lived in Australia before coming to Canada.